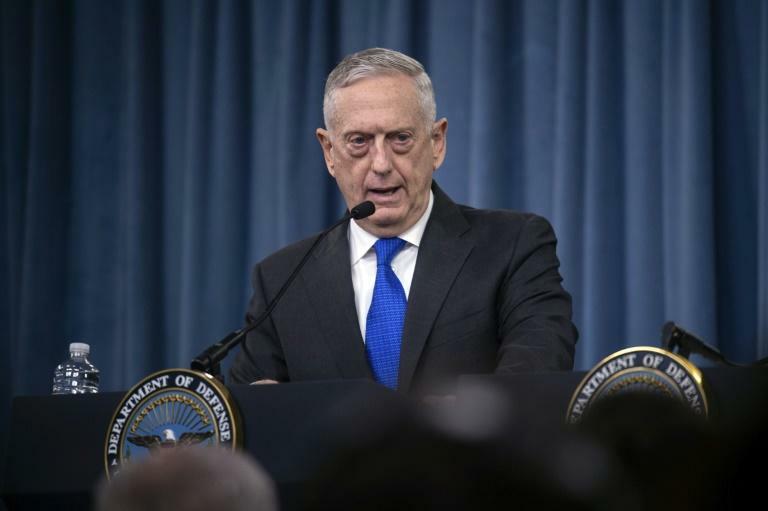 The Pentagon has seen "zero" evidence to suggest that opposition groups in Syria's Idlib province could use chemical weapons, US Defense Secretary Jim Mattis said Wednesday, despite Russian claims to the contrary. Speaking to reporters as he headed for talks in New Delhi on Thursday, Mattis rebuffed suggestions that the US may facilitate a chemical attack, then blame Russia and the Syrian regime and use this as a pretext for air strikes. The US military has already twice conducted strikes against Syrian President Bashar al-Assad's regime following two alleged chemical weapons attacks, most recently in mid-April with French and British help. "We have zero intelligence that shows the opposition has any chemical capability," Mattis said. "We have made very clear that by putting out innuendo that somehow any chemical weapon use coming up in the future could be ascribed to the opposition, well ... we cannot see anything that indicates the opposition has that capability." Among the Russian reports, the Sputnik state news outlet said the Russian defence ministry claimed militants from the Tahrir al-Sham group were getting reading to stage a "provocation" and had kidnapped 44 children for use in a "false-flag" attack. Mattis would not say if the Pentagon was seeing any signs the Syrian regime might be preparing to use chemical weapons in Idlib. "I would prefer not to answer that right now," he said. "We are very alert." On Monday President Donald Trump warned Assad against "recklessly" attacking Idlib. The Syrian military has been deploying reinforcements to the zone for more than a month. Russia, which on Tuesday conducted air strikes in the region, has stepped up its war rhetoric ahead of an anticipated government offensive. Mattis on Thursday is meeting with Secretary of State Mike Pompeo in Delhi for talks with their Indian counterparts on a range of defence and trade issues.